Then, then let's stop pretending that there is any such thing as professional standards. 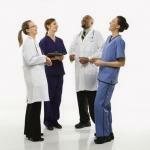 Let's give patients lifestyle and behavioral questionaires. Let Sharia Law govern who gets care. 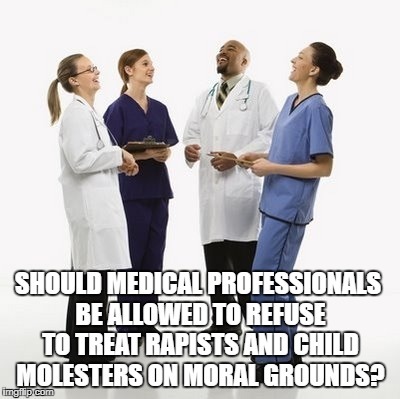 SHOULD MEDICAL PROFESSIONALS BE ALLOWED TO REFUSE TO TREAT RAPISTS AND CHILD MOLESTERS ON MORAL GROUNDS?